We have dusted it down and started going through it already – it needs some more work before it’s performance ready. Do please try to go through it with the rehearsal aids at home whenever you can. I am rehearsing on a Sunday with as many of you as possible and on a Thursday with the female voices in sectional rehearsals. The last two weeks before our performance I will be asking you to please try to make it to choir practice without fail please as I need to have all of you together for run-throughs. There will be a second piece performed by a smaller group of voices which I have invited to sing the Christmas Sanctus. It is an intimate, ensemble piece which requires a particular blend of voices across the soprano, alto, tenor, bass range and which I hope to experiment with during rehearsals. If it doesn’t work out then it doesn’t matter, we’ll just leave it out. Because there is one less choir to perform this year we have to sing two numbers per choir – the rest of the carols will be choirs and congregation together. For the Christmas Eve Vigil mass at 3pm which we are leading, we’ll also be singing the Christmas Hallelujah like we did last year – choir sings chorus, and soloists sing verses. Paul and Amanda have kindly agreed to sing the solo parts. 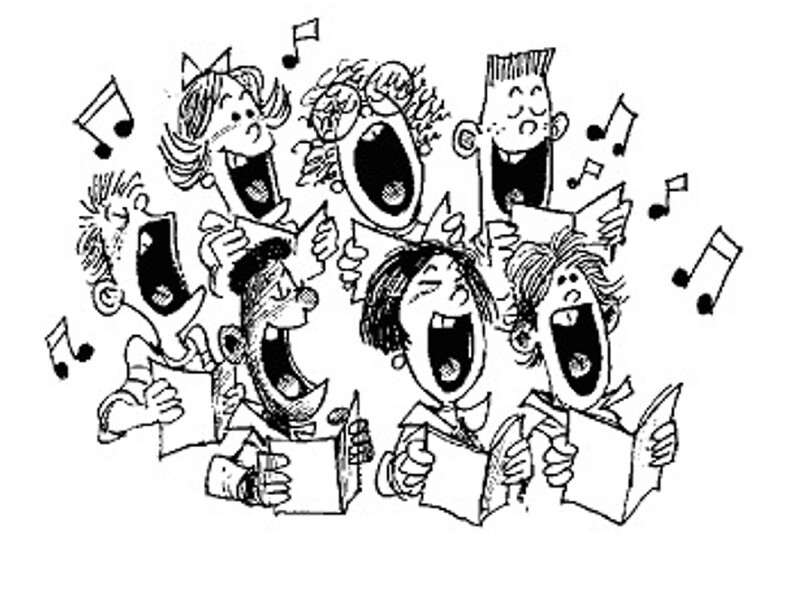 We’ll be refreshing those lovely harmonies in the chorus at the next rehearsal. So plenty to be getting on with. How exciting, Christmas is coming! Here’s links to O Holy Night – including the solos as per the arrangement we used last year (at the beginning of each verse and then in parts on pages 3 and 4 – the latter we took out last year) in case you wish to include them this year. 1. Soprano part 2. Alto 3. Tenor 4. Bass (I’ve left out the female solo descant part on purpose.) And just for you to enjoy here’s a performance of O Holy Night by the choir of King’s College Cambridge. The rest of the carols below are for us to sing at the Family Vigil mass where the congregation will be singing along with us most of the time (all of them are in the hymn book except for Starry Night so I’ll have to drop that one.) Here are some links to favourite clips from YouTube for your enjoyment.